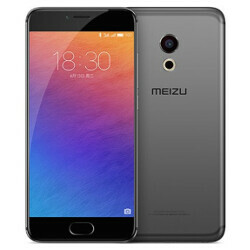 The 32GB Meizu Pro 6 has been cut in price by the equivalent of $30 USD. That takes the price down 8% to about $345 USD. The cut takes effect regardless if the Pro 6 is purchased online, or bought inside a physical store. The handset is certainly well spec'd and is powered by a MediaTek Helio X25 chipset. That means it carries a deca-core CPU and the Mali-T880 MP4 GPU. The rest of the specs include a 5.2-inch Super AMOLED display featuring a 1080 x 1920 resolution (FHD). 4GB of RAM is inside, along with 32GB/64GB of native storage. Those seeking additional storage can access the 128GB capacity microSD slot. Keeping the lights on is the 2560mAh battery. A 21MP camera adorns the back of the unit, while those who like to shoot selfies can employ the 5MP front-facing snapper. The sale starts today. And if you're wondering why a high-end model like the Pro 6 is getting a haircut (albeit a rather small one) so soon in its life cycle, it might have to do with the rumored Meizu Pro 7 that we told you about last month. Lol. This is the design apple fans were hoping to get in the iphone 7 but sadly didn't. The reduced bezel especially for the plus model was really needed imo.